When you live in Europe, one of the significant advantages is, that many of the most beautiful cities are practically within an arms reach. With a few hours flight, you can find yourself in one of the capitals of the most beautiful regions, filled with history, culture, and endless opportunities to explore, rest, and recharge. With the luxury of air travel, long weekend getaways are no longer only the stuff of Hollywood movies – you can just book a flight and go. 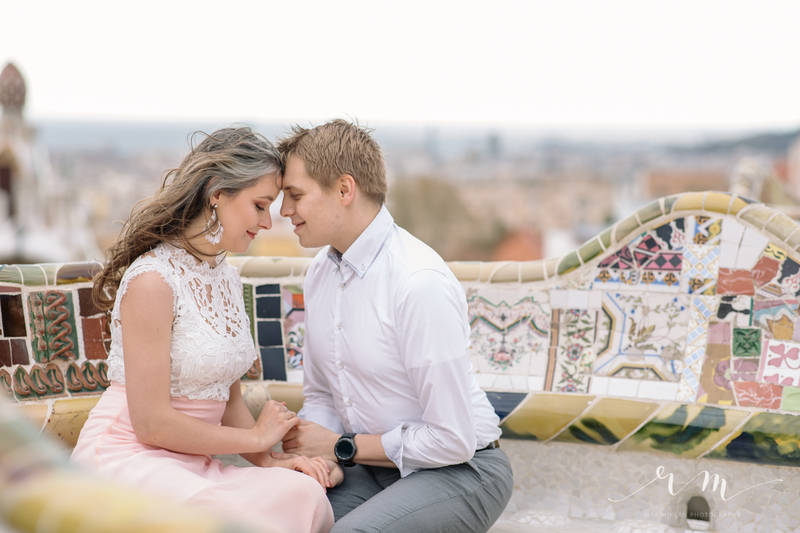 Over Easter we headed to Barcelona from a still chilly Helsinki, to get some sun, and much needed R&R with my husband. The city of Gaudí wasn’t entirely unknown for us since we both have been here earlier, although at different times. 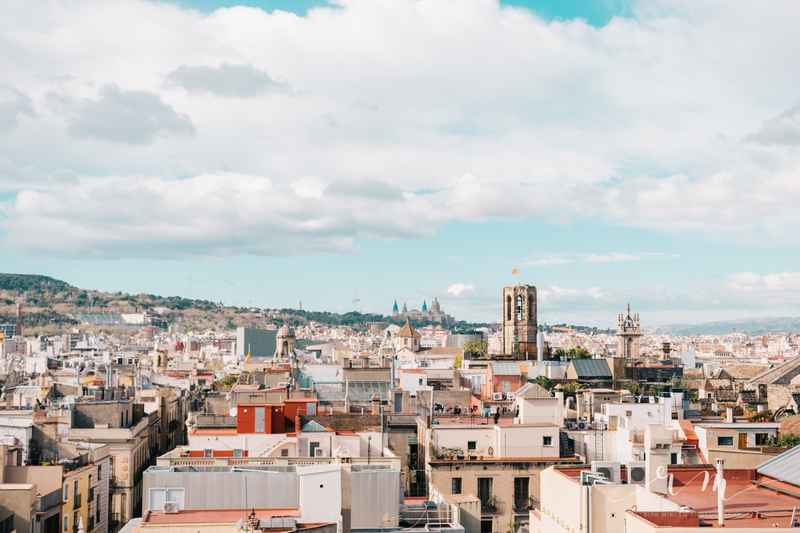 It’s been a while though, so we were eager to discover what Barcelona had to offer. We arrived on a Thursday evening and arrived at our hotel thrilled. The hotel itself was in a central neighborhood, just outside of the Gothic district, and a few blocks away from the Rambla. 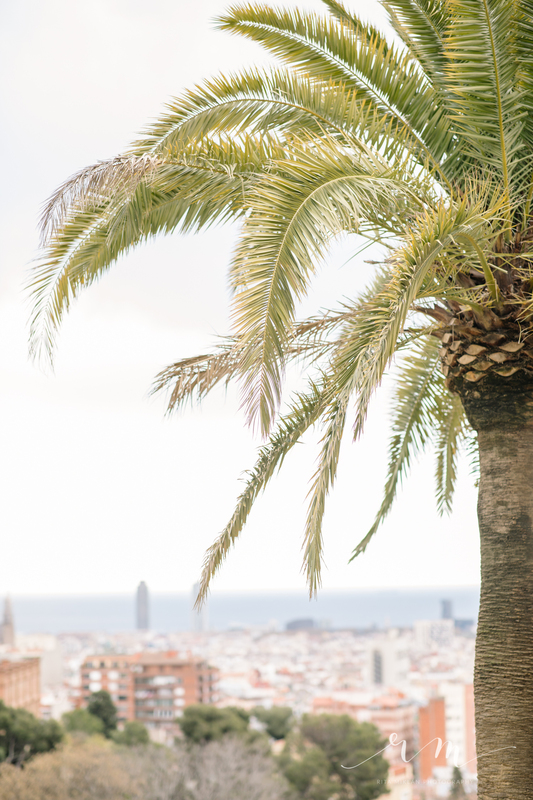 From the rooftop bar, we had a splendid view over the bustling city, pina coladas in hand. One thing that we usually take advantage of when we are traveling is the free walking tour. 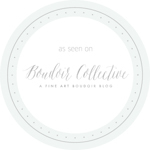 Often, there is an excellent selection of walking tours in every bigger city, and I highly recommend them. They are usually run by volunteers, and many times foreigners, who moved to the said city for one reason or another, and they can show you the hidden gems off the beaten tourist paths. Like in Barcelona, La Rambla is basically the worst place to be. The history of the street is of course fascinating, how it used to be a river that divided the city into the richer, and the blue collar neighborhoods. The ancient river is remembered in the wave pattern of the tiles that cover the street. But apart from that, it is crowded, and filled with restaurants and booths that are ready to rip off the unsuspecting travelers. Our guide for the walking tour, a Brazilian architect student, explained that the only place worth visiting on La Rambla is the Mercado, the market hall. But since we were there on Easter weekend, it was closed. On with our walking tour, we submerged ourselves in the winy streets of the Gothic district, where our guide showed us many interesting sights – for example, the most popular cathedral for the real locals to get married in, the different Catalonian flags that decorate many balconies and buildings, and the streets where Gaudí and Picasso studied, worked, and lived. It was incredibly refreshing to hear all the stories about Picasso, who often paid his bar bills with drawings, and decorated the front of a building with hidden Catalonian symbols, as an act of defiance against the Spanish crown. Besides the walking tour, and sightseeing in the city, another “must visit” place on my list was Park Güell. And since I was in the area with the best view over the city, I also wanted to take some portraits. 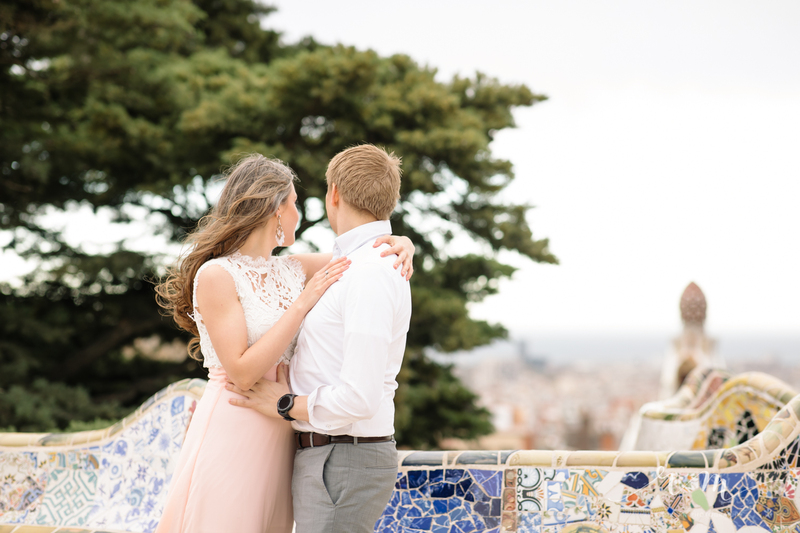 This is how I met Timi and Morten, an international couple who only moved to Barcelona a few months ago. 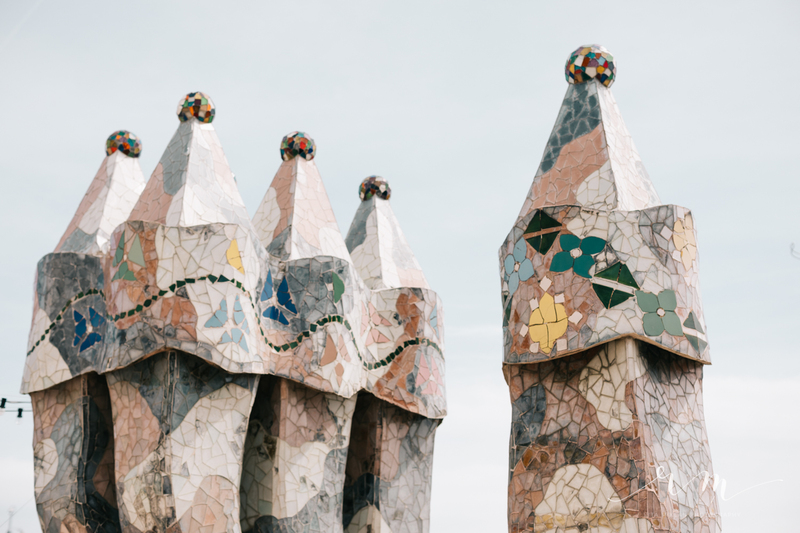 We headed to the park to take some photos of them, incorporating the signature mosaic benches, the view, and the other aspects of the park designed by Gaudí, that resembles more like a place out of a fairytale. Timi and Morten only got married a couple of months ago, so they had the newlywed glow, besides being a lot of fun to work with. 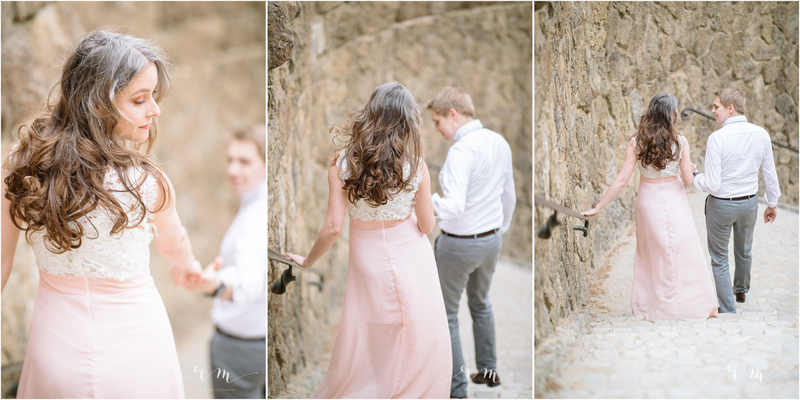 I had truly a great time taking their photos, and walking around Barcelona with them. In the coming days, with my husband, we also visited the Gaudí museum, also located in Park Güell, which is housed in the building that was home to the architect during the last period of his life. 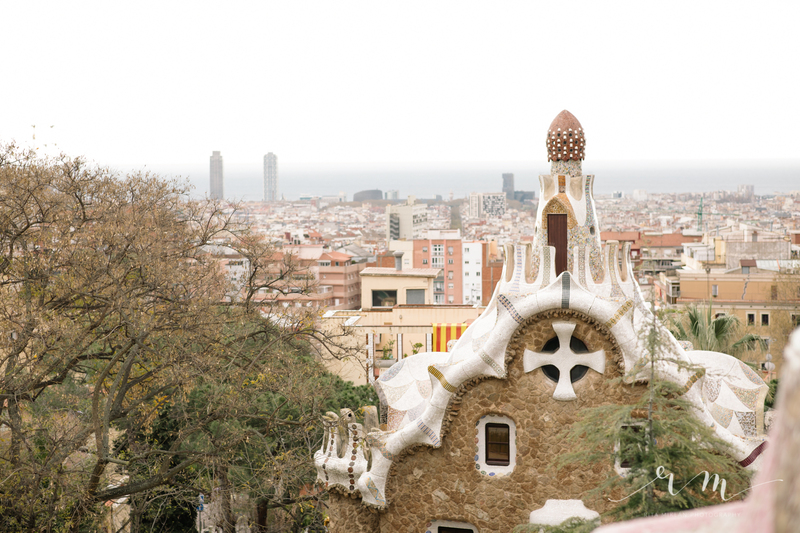 We learned that initially Park Güell was supposed to be a residential area, but apart from the Master’s house, there was no interest in developing it further, since nobody really wanted to move there. Gaudí, however, lived there to have a direct view of Sagrada Familia, that was the most significant construction of his life. In Gaudí’s home, we could also understand that he loved to design spaces in a very organic manner, in harmony with nature, where he drew most his inspiration from. He also treated light as a resource, as much as stone and mortar, and used it together with shapes and colors to create spaces that resembled forests, gardens, and the sea. He also designed his own furniture that was made in such an ergonomic way, but always in perfect art nouveau style. I had become even more fascinated by his work than ever before. We also visited two other of his buildings: the Casa Baltó, and the Sagrada Familia. On my first visit to Barcelona, I never entered these spaces, so it was really a whole new experience for me. The Casa Baltó as well bears a lot of elements that are inspired by nature and light. Gaudí was genuinely mastering the bringing of all the parts into perfect harmony. I recommend visiting this building and taking the time to walk through it to truly experience what it meant to Gaudí to create spaces where every detail was thought through from every aspect: ergonomy, inspiration, style, light. There is no one tile out of place, no one color used by chance. The last ‘piece,’ the crown jewel of Barcelona is the Sagrada Familia. From the outside it always reminded me of the mud castles we would build as kids on the lake shores, by slowly dripping the wet mud from our hands, building up towers. The outside facades are busy with statues, scenes from the Bible, heavy symbolism, and plenty of meaning. I was wondering how the inside will look, and I was stunned. Upon entering, we arrived into an enchanted forest. The pillars reached towards an incredibly high ceiling and designed in a way that they truly resemble trees. As busy is the church from the outside, as plain, it is from the inside. The only decorations are the vast stained glass windows that create a rainbow throughout the church. The light washes over the whole space, that is clearly inspired by nature. I have to say I was really amazed by the interior of Ságrada Familia. I came to understand and love more the architecture that Gaudí represented. Of course, besides the historic districts, museums, and cathedrals, Barcelona is also a place for great food. If you know me, you know that I am a big foodie, and I love to try the local dishes where ever I go. 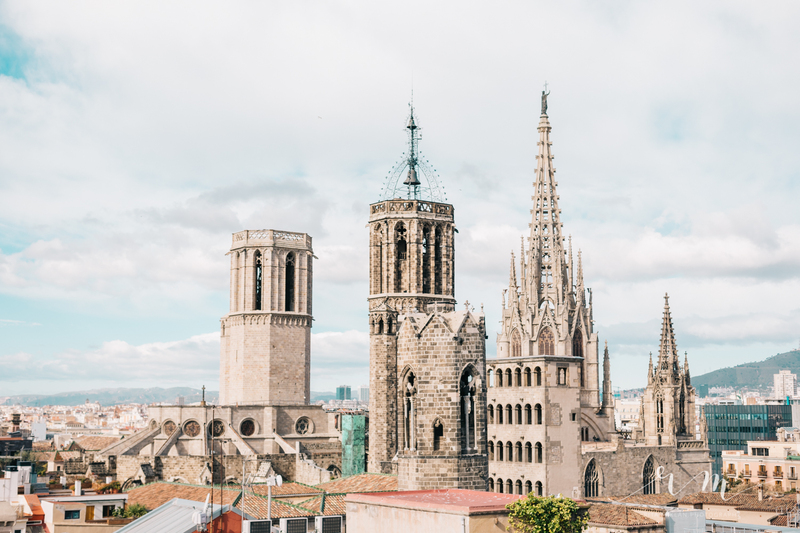 And Barcelona is a great place for seafood, tapas, and paella. I know that tapas is the most touristy food one can get, but I didn’t mind the cliché, because it tasted so good. We did our best to explore the city also food-wise, sometimes eating in small kiosks, and finding restaurants where they served the catch of the day. Luckily we also walked a lot every single day, so at least we didn’t worry about the extra calories we might have consumed. I truly had a great time in Barcelona, that until all our gear was stolen, but about that, I will write in another post. I would love to go back one day and experience more of the city.